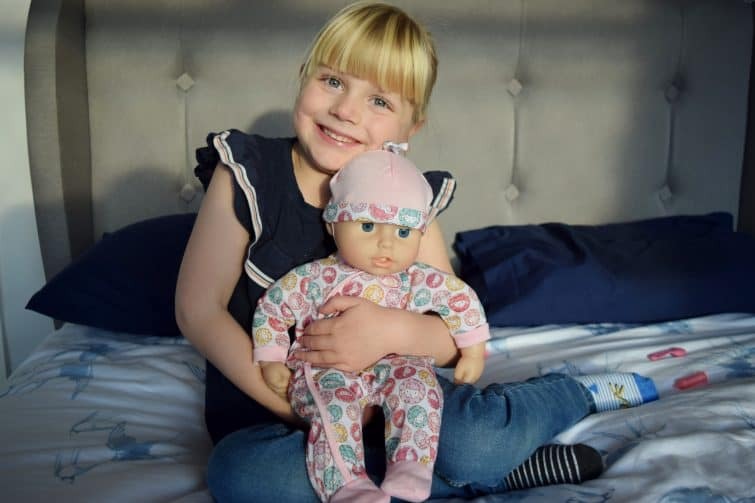 Regular readers will know that Amy is a big fan of baby dolls, her favourites being Baby Jack (better known as Baby Annabell’s brother) and Sophie (who I think we picked up in Toys R Us with a voucher last year! She loves to spend hours pushing them in their pram, tucking them up in a handmade, vintage doll’s cot which Father Christmas brought her last year and generally being a good mummy! 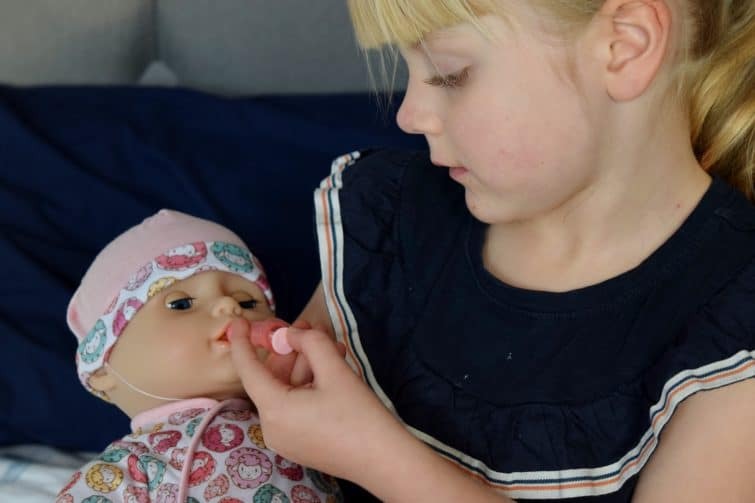 The latest addition to Amy’s brood is the Milly Feels Better Doll from the Baby Annabell range by Zapf Creation – Amy has named her Baby Lucia. Milly Feels Better is, like most dolls of this type, suitable for children over the age of three due to the small parts included. 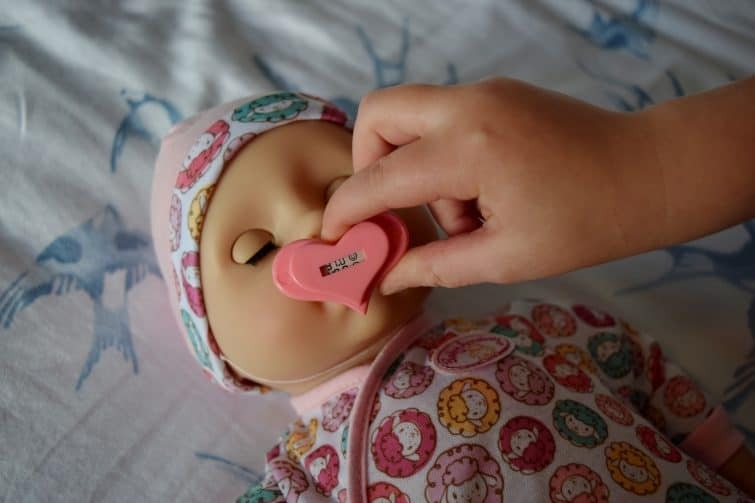 Milly comes with five different accessories – a thermometer, a stethoscope, a syringe, a medicine bottle and a spoon – all the necessary equipment for helping your new baby doll to feel better when those rosy cheeks and sad cries start. The 43cm interactive Baby Annabell doll has a soft body which has a really nice weight to it, it’s hard not to hold her like a real baby -in fact when I’ve been instructed to take Milly (or Baby Lucia as Amy calls her) to school at home time, I’ve had other parents stop me and say they thought I had a real baby in my arms for a moment! 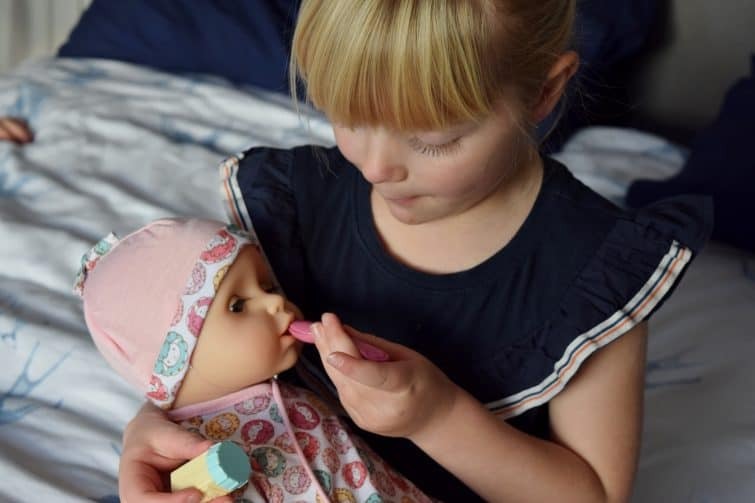 What sets Milly Feels Better apart from other dolls in the Baby Annabell range is that she’s poorly and needs taking care of. She lets you know she’s not well by crying and her cheeks turn red (this isn’t always that noticeable if you’re in a bright room – Amy was excited to realise how bright her cheeks could be in the dark!) To help Milly feel better you can take her temperature, check her heartbeat (which will thud if you press the stethoscope in the right place) and give her some medicine with a spoon. Now with most interactive dolls I soon find myself regretting putting the batteries in but Milly’s giggles and chatter are actually really cute, even her cries are fairly inoffensive (as long as Mummy Amy gets on and makes her better sharpish! Milly Feels Better is the same size as Baby Annabell’s brother – which means that all the clothing and accessories are interchangeable (and if you’re investing in Baby Annabell clothes or nappies then you’ll already know they can be fairly pricey – we tend to buy “Tiny Baby” sized clothes from the supermarket when Amy wants new outfits! Baby Lucia and Baby Jack have been declared twins and Amy is a very proud Mummy! 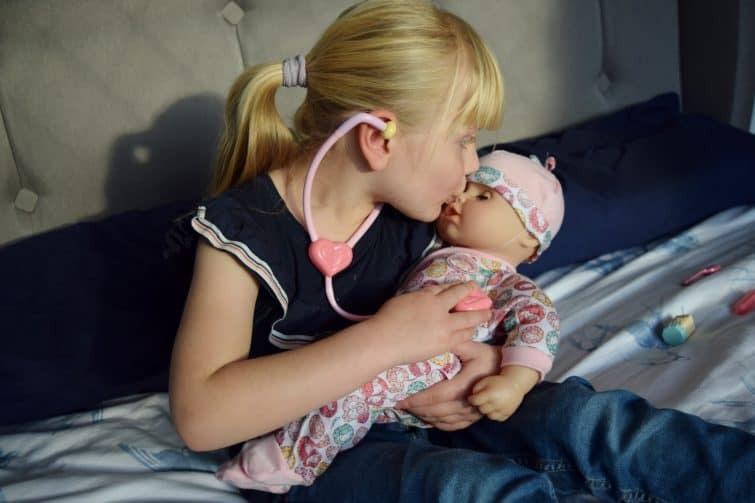 This is such a cute doll for budding doctors and nurses. 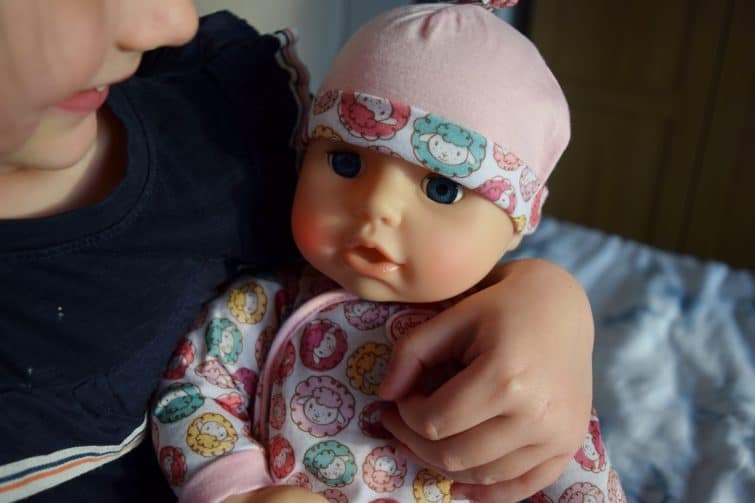 We used to do the same as you when our dolls needed clothes – real premature baby clothes are so much cheaper than real dolls’ clothes! Aww! This sounds like a really sweet doll. Amy looks so happy with it. Isn’t it! My sister has bought her some new outfits for Christmas. My friends girl would love this!